Relax and enjoy the experience as Teressa clears the exterior energy around your auric field. While doing this, she will evaluate your health, intuitive ability and stress levels, as well as who is around your aura (watching over you in spirit). She then clears this dense energy with a beautifully scented essence oil blend aura clearing spray. Your energy evaluation will be verbally explained. She will tell you what are the strongest energy points on your body, as well as what areas need clearing work. 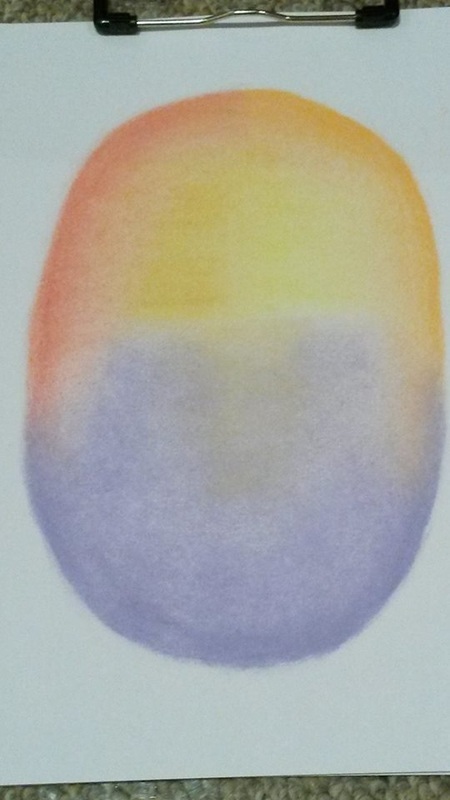 Next, Teressa will look at your Aura colours and draw them, while explaining what each colour means. The colours have different meaning, depending on whether they appear in your upper mental cognitive area, heart center area, emotional clairsentient area, or family/relationship lower auric area. Your personality will be explained, as well as what type of job would best suit this personality type. This type of reading takes approximately 10 - 20 minutes. 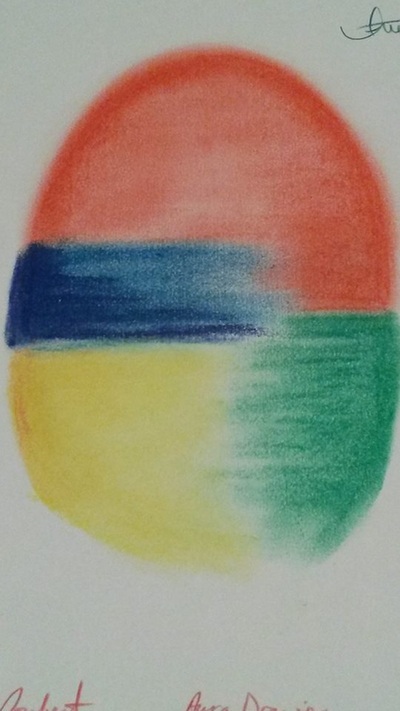 Coloured chalk is used for this type of drawing, as it gives a soft and gentle effect. 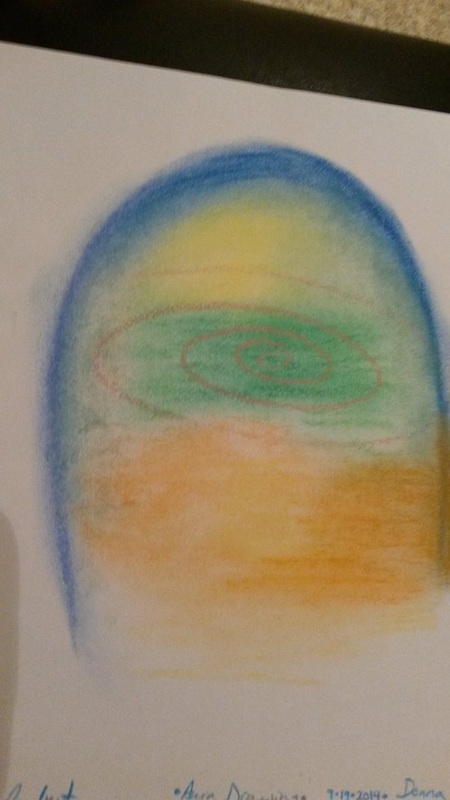 Enjoy reading about the meaning of each aura colour from a set of premade drawings, as yours are quickly drawn in front of you. This part is fun to participate in as a group of people. Best of all, you get to take this beautiful laminated picture home with you to frame and cherish forever! Aura drawings are a gentle icebreaker. This quick evaluation allows for a more in-depth reading. A typical reading with Teressa involves an Aura clearing and drawing to start, followed by a Medium and/or Angel Reading. Most group readings will start out with an Aura Drawing for everyone, followed by a Group Medium Reading.